A growing number of local and global regulations are being enacted which outline compliance regulations for businesses in the areas of sustainability and business and human rights. Ardea International keeps abreast of legal developments in these areas and can support businesses to meet their legal environmental compliance obligations. 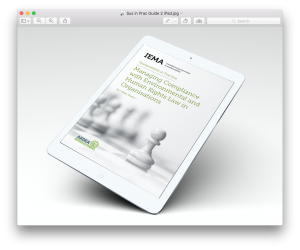 Managing a legal compliance programme effectively can reduce many risks for a company. Failure to do so could effectively lead to increased liabilities, fines, added costs, or criminal indictment. online environmental or sustainability legal register containing easy to understand legal summaries with a toolkit to demonstrate compliance, working with Libyro. Working with Colleen is like a breath of fresh air. She applies a common sense approach with a clear level of intellectual ability. The achievement of the client’s objectives were always at the forefront of our discussions. Her preparation of documentation, for example the preparation of a highly technical analysis of an Environmental Impact Assessment was both timely and of a very high quality. Our sustainability legal register includes reference to all relevant ESG (environmental, social and governance) laws for companies.